The 48 in. Red Velvet Mixed Fir Artificial Wreath with 200 Warm White Lights is part of the Decorative Collection. It's a mixed tip wreath that is trimmed with red berries, ball ornaments and a large bow for added holiday cheer. Two hundred battery-operated soft white LED lights are pre-strung, energy-efficient and long-lasting. A timer enables control for 6 hours on and 18 hours off. 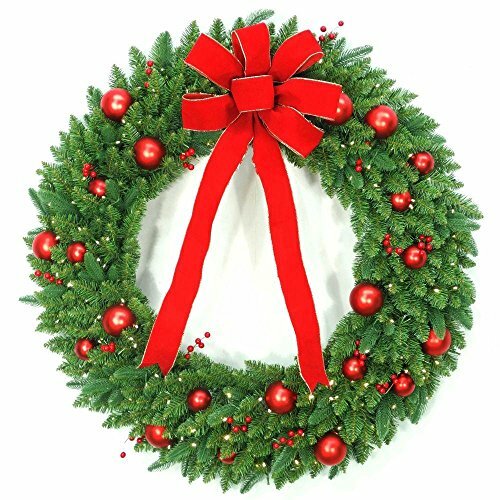 Display this wreath on a door, wall, or window in an indoor or covered outdoor location.